LANSING, Mich. — Sen. Adam Hollier (D–Detroit) took the oath of office today to serve the citizens of Michigan’s 2nd Senate District. 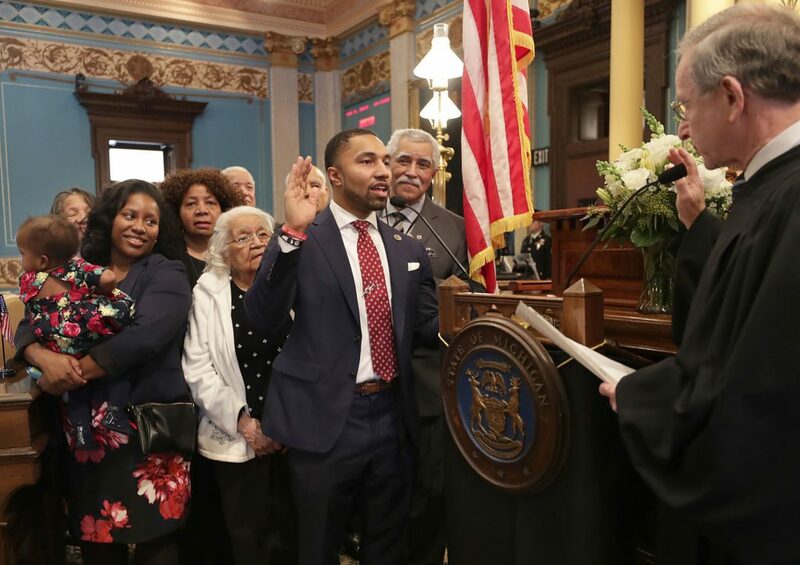 Sen. Hollier begins his first full term in the Michigan Senate with his Chief of Staff Camille Jamerson, Director of Legislative Affairs Karenia Randle and Legislative Coordinators, Eva Penar and Monique Mansfield. The 2nd Senate District is located in Wayne County and includes the cities of Detroit, Grosse Pointe, Hamtramck, Harper Woods and Highland Park.